Bronchitis is a disease that is becoming quite common around the world. Before, it usually affects children and elderlies, but nowadays, some cases involve individuals who are not included in the mentioned population. 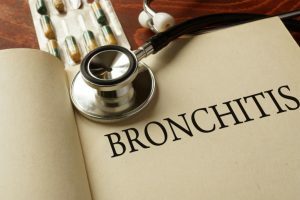 Hence, many people become more curious about it that leads them to ask “Can you die from bronchitis?” This is the one that we will try to answer today by learning about the disease in depth. Bronchitis is a medical condition that develops when there is a swelling of the airways of the lungs, which is known as the bronchi. This swelling arises from either irritation or an infection. As such, the sufferer will find it very difficult to breathe. Also, there would be a buildup of mucus and constant coughing. There are two common types of bronchitis. These include acute bronchitis and chronic bronchitis. This is considered to be a widespread type of bronchitis. One of the main symptoms of this is a hacking cough which will produce either clear, greenish or yellow-gray mucus. Some of the other symptoms include headaches, blocked or a runny nose, tiredness, aches, and sore throat. Its symptoms will last for about a couple of weeks, and it does not cause any problems beyond that in most cases. Acute bronchitis is typically self-limited, which basically means that it will run its course over time. The treatment for this generally involves relieving all your symptoms because a virus usually causes the illness. Chronic bronchitis is considered to be more serious. As the name suggests, this is the kind of bronchitis that keeps on coming back and does not leave your body. It is one of the conditions that might lead to what is called chronic obstructive pulmonary disease (COPD). Amongst its main symptoms include constant shortness of breath and wheezing since the airways are completely inflamed. Unfortunately, chronic bronchitis is not curable or reversible. 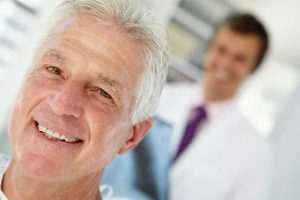 So, when it comes to its treatment, the main goal of it is to basically improve the quality of the person’s life and in all cases prevent all types of complications. Most of its therapy is targeted to open the airways and to reduce the swelling inside so that the person can breathe better and easier and ultimately slows the progression of the disease. Acute bronchitis spreads quite easily from one person to another; usually through coughing. The virus responsible for the disease gets released into the air or onto the hands of the person suffering once he or she coughs. If you are near the sufferer when this happens, or you touch their contaminated hand, you will in most cases catch the virus too. Additionally, you will most likely catch the virus for acute bronchitis if your bronchial tree is already damaged. Thus, if you are a smoker, the chances of you catching the virus increase substantially. Bronchitis, as noted above, is typically caused by a virus. This virus is the same as the one that causes the flu or a common cold. However, certain bacteria can also cause it. Another cause of it is when you breathe irritant substances including chemicals found in certain household products, smog, and even tobacco. Inhaled cigarette smoke, whether first or second hand, is also one of the leading causes of chronic bronchitis. Another reason why bronchitis could occur is due to extremely cold weather. Your physician will be able to tell you whether or not you have bronchitis on the basis of a physical exam and of your symptoms. Your physician will ask you questions such as how often you cough and the kind of mucus you expel. He or she will also carefully listen to your lungs to see whether you are wheezing or not. This is typically it. In more serious or long-lasting cases, your physician may ask you to check the levels of oxygen in your blood or do a lung function test with the help of a device called the spirometer to check for emphysema. He or she can also order some blood tests as well as ask you to do an X-ray of your chest. 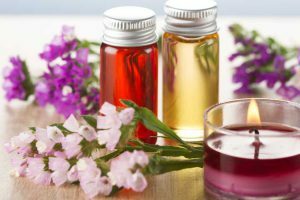 Your physician may also ask you to collect a sample of your mucus to test it and to possibly rule out any diseases that are caused by different kinds of bacteria. 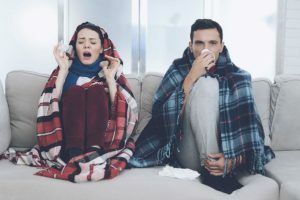 If you have acute bronchitis, then it is improbable that it will kill you since, as mentioned earlier, the body tends to help itself over a couple of weeks to get rid of the virus. However, if this is caused by bacteria and is not treated, then, it might lead to complications. Both cases, if not managed, will lead to chronic bronchitis. Chronic bronchitis, as mentioned, is a long-term disorder of the lungs. A person suffering from it will most likely experience coughing with a constant discharge of mucus for most of the days during a month. While you can’t treat it, it is absolutely crucial you visit a doctor to keep it under control. Failing to do so, the virus will definitely infect your whole lungs. People who suffer from chronic bronchitis without any form of treatment, in most cases, end up developing another lung disease called emphysema, wherein the air sacs that are inside the lungs get damaged. 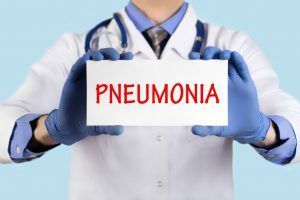 Another life-threatening complication that arises from bronchitis is pneumonia. 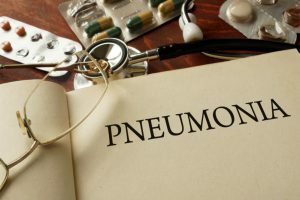 Statistics-wise, about five percent of such cases lead to pneumonia. This will typically occur when the infection has spread deep into the lungs. The infection will then cause the air sacs to get filled with fluid. These complications will most likely occur in older people, young children, or people who are suffering from other diseases. In short, individuals who have a weak immune system. 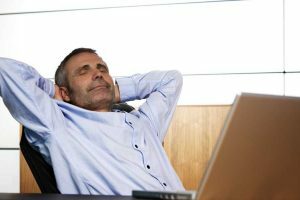 People who are also constantly exposed to respiratory system irritants and pollution can suffer from these complications. So, can you die from bronchitis? Yes, in a way you can because of the complications. One thing you must ensure whether you suffer from acute or chronic bronchitis is that you must absolutely not smoke and not be around anyone who smokes, ensure you eat healthy, rest enough and overall live a healthy lifestyle. 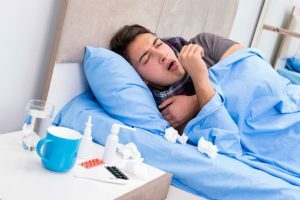 What Is the Difference between Bronchitis and Pneumonia: Facts You Need To Know What To Eat With Bronchitis: Important Facts Is Bronchitis Contagious: Some Interesting Facts How is Bronchitis Spread?